Tap the ‘Groups’ icon represented as five circles; this will direct you to the Groups you are part of. Once you have chosen which members to add, you may name the Group, tap the blue arrow icon to create that Group. 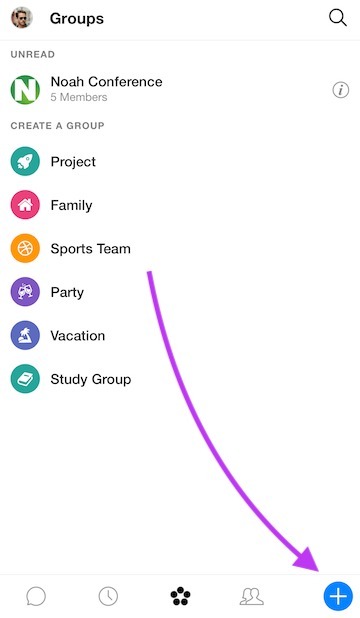 Tap the ‘Groups’ (bottom center) icon represented as five circles; this will direct you to the Groups you are part of. Tap the ‘+’ icon on the bottom right of your screen. This will allow you to choose the participants of your Group. How do I add/remove members to a Group? How can I mute/ block a Group?